L.I.L.Y is the latest fragrance from British fashion designer Stella McCartney. It very much marks a break from tradition for McCartney, whose other fragrances have all be a variation on a theme, namely that of her eponymous debut fragrance ‘Stella’. 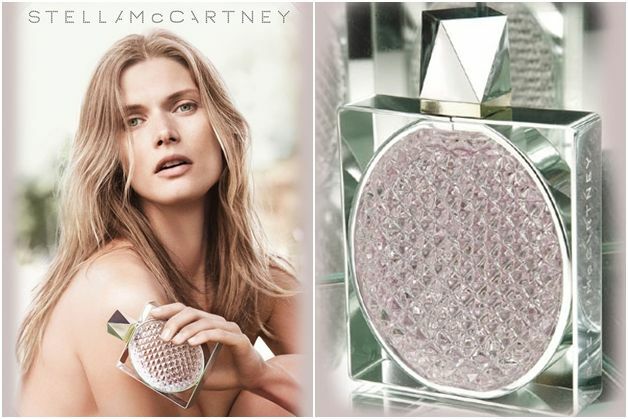 I love Stella, as far as designer fragrances go it is pretty well done and my sister wears it religiously so I have a strong connection to it, but I am very glad that McCartney is branching out into new fragrant territory with L.I.L.Y. Where Stella was an ode to rose, L.I.L.Y is, as the name suggests, an ode to the lily of the valley. Lily of the valley is a flower which yields no scented oil yet so evocatively represents the smell of the English countryside in spring time. It’s both beautiful to look at, and to smell, and it represents all that is innocent and virtuous about the world. 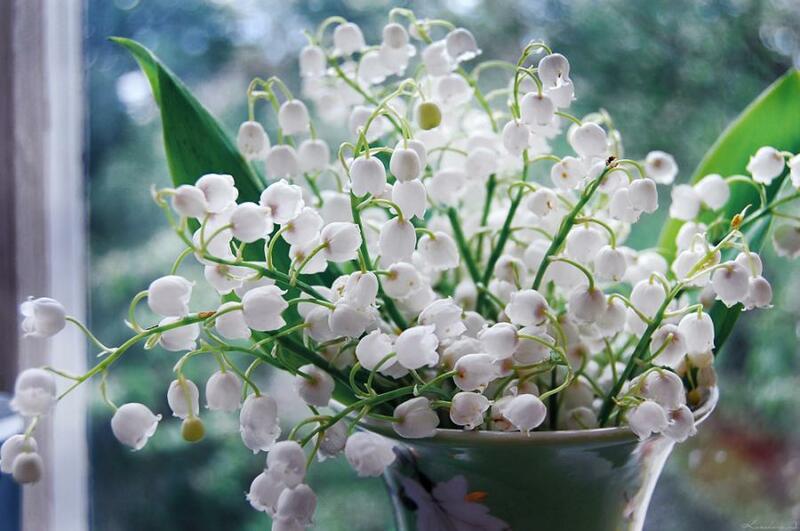 Lily of the valley is simply one of the world’s most precious of joys. L.I.L.Y is described as an “evocative scent made up of Stella’s most treasured moments” . Its name stems from her father’s nickname for her mother; ‘Linda I Love You’, and the Lily of the Valley used in the fragrance is reminiscent of her wedding bouquet. For L.I.L.Y, McCartney has aimed to create a perfume that is personal to her, rather than Stella McCartney ‘the brand’. In this world of hyper-focus-grouped perfumes, I can’t help but find the personal touch applied to L.I.L.Y utterly refreshing. You don’t really get many lily of the valley, or ‘Muguet’, fragrances anymore. I guess nobody bothers because Diorissimo, even thought it is now a pale version of its former glory, is the only lily of the valley fragrance that anyone needs. Whatever the reason, it’s refreshing to see a mainstream house opt to highlight an under-used flower, and whilst L.I.L.Y is not going to be a classic in the genre, it is very nicely done. L.I.L.Y opens bright and sharp with a distinct flash of pepper (yes the ‘dreaded pink pepper’, when will the madness end?!) that is rather surprisingly short-lived, but it adds a nice sparkle whilst it does last. The lily of the valley presents itself very early on and it starts out incredibly green, like spring air, and becomes more floral with time. As the lily of the valley unfurls on the skin, it takes on a rather beguiling saline feel that is somewhat reminiscent of the weird metallic-and-milky-mess of Etat Libre d’Orange’s Sécrétions Magnifiques. But rather than standing in the way of the floral notes, as it does in SM, this saline quality sits just behind the creamy florals and adds a tinge of dirt, like an accidental flash of the thigh, to what is on the most part, a rather squeaky clean composition. The creamy white florals are underpinned by a rather bog-standard white musk and a subdued does of patchouli. It doesn’t develop all that much, but it does become lighter, airier and more diffusive with time. Once you have smelled L.I.L.Y in Its entirety, it could be very easy to write it off as just a generic, musky-white floral, and I wouldn’t blame you, but closer inspection reveals that it is so much more. L.I.L.Y is not a true interpretation of the lily of the valley, it’s not a glorious or life-changing soliflore, and it’s not supposed to be, instead it is a rather lovely white floral bouquet and it would be fair to say that it is an essay in ‘pretty simplicity’. Sure, it’s no great shakes and it’s not going to change the face of modern perfumery, but it doesn’t have to. To put it simply, L.I.L.Y is pretty simple and simply pretty. What more could you want? As much as I like L.I.L.Y as a fragrance I have to admit that I think the bottle is utterly hideous. Is it me or does it look like a pineapple? It reminds me of those Stella McCartney bikinis with the pineapple in the crotch. Sorry Stella (and your grandmother) but it’s not a good look. The metal look frame is also quite cheap & flimsy and takes away from what should be a quality feel. L.I.L.Y is available in 30ml, 50ml and 75ml Eau de Parfum. Prices range from £44-£76. This review is based on a sample of L.I.L.Y sourced myself. Posted in Feminine, Floral, Musk, Perfume Reviews, Stella McCartney and tagged 2012 Release, Feminine, Floral, L.I.L.Y, Lily of the Valley, Musk, Stella McCartney. Bookmark the permalink. I’m a big lily lover and I applaud Stella McCartney for trying a lily fragrance. This sounds like what I hoped it would be, an above-average pretty department store fragrance. Looking forward to finding it!! I’m with you there, it’s good to see a lily of the valley fragrance for once. Do let me know what you think once you’ve tried it. I like it, not enough to buy it, but it is nicely done. I agree with you on the bottle: hideous. Worse, it looks complicated and not exactly cheap to make – you’d think that if her marketing people were going to spend money on the bottle, they’d have come up with something nicer. Diorissimo doesn’t smell like itself these days, true. But if you want another interpretation of lily of the valley, go smell Tauer Perfumes Carillon pour un Ange. THAT is gorgeous, a little bed of flowers growing on a mossy forest floor. OH yes. Forgot to mention, I rather like Guerlain Idylle eau de toilette, which has a big slug o’ muguet in there with the rose and clean patchouli-musk. 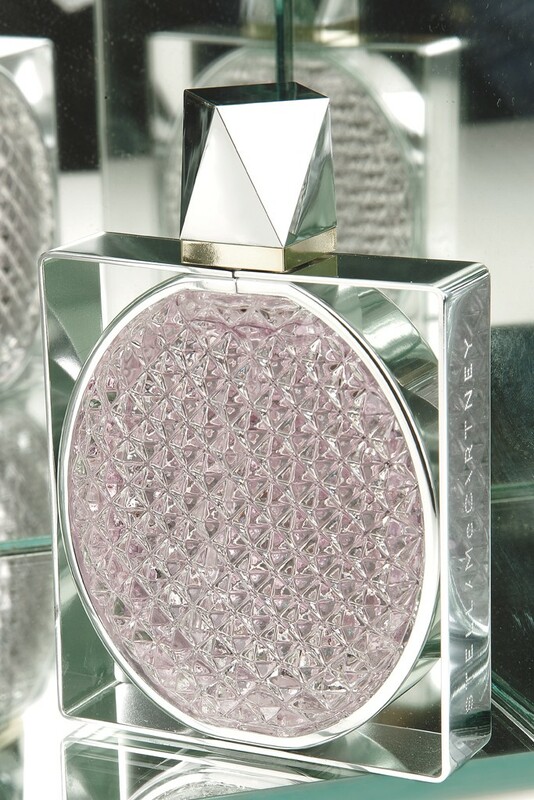 It doesn’t smell much like a Guerlain, in my opinion, but it is pretty and wearable. Idylle, in EDP or EDT, is really lovely and I completely agree with the “big slug o’ muguet”. What’s worse is that the metal frame feels very plasticky and cheap! I have a sample of Carillon pour un Ange and it is truly beautiful, that dry down sure is something!! Stella is good, but it’s not life-changing, still it’s worth trying and if I ever come across a sample of it I shall keep you in mind. I have been curious about this as LOTV (never to be abbreviated to LV, for that way lie luncheon vouchers), is a favourite note, and I am delighted to see Stella branching out both note- and name-wise. I must say I was fully expecting the next launches to riff off McCartney instead (McCartney In Three Peony etc), so this is a pleasant surprise. Is the salty note anything like Vanille Galante? I like a bit of salt on my lilies, I must say! And yes, that does look like a pineapple – one that has been comprehensively sat on and possibly genetically modified with some leftover pink pepper. I’m also glad that she’s moved on from the ‘Stella’ lineage into new fragrant territory. I can’t really recall Vanille Galanta, but the saline in L.I.L.Y is akin to a very, VERY light hint of that weird bilge note in Sécrétions Magnifiques. Oh dear. That bikini. My eyes! This fragrance sounds pretty boring. 😦 On the other hand, thanks for reviewing it, so I don’t have to try it! I can’t wait to try this. Before Stella, you never really heard of rose perfumes in the mainstream market. People were still recovering from the 1980’s – YSL Paris. I imagine that until now, people were still recovering from the big ‘ole Jessica McClintock. As far as the bottle, it reminds me of the reflectors on bicycles. It’s not what I expected at all. Haha it totally looks like a bicycle reflector! Just had a sample in a magazine and its super – would love to buy some. Though I would not compare it to any lily of the valley fragrant notes. It seems really stronge and long lasting. Not keen on battle either. It definitely has some good lasting power.